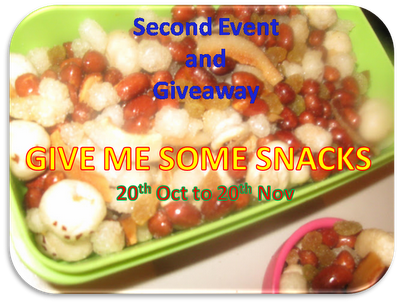 in Appetizer/Snack, Baked goodies, Bengali recipe, Healthy recipes, Veg. 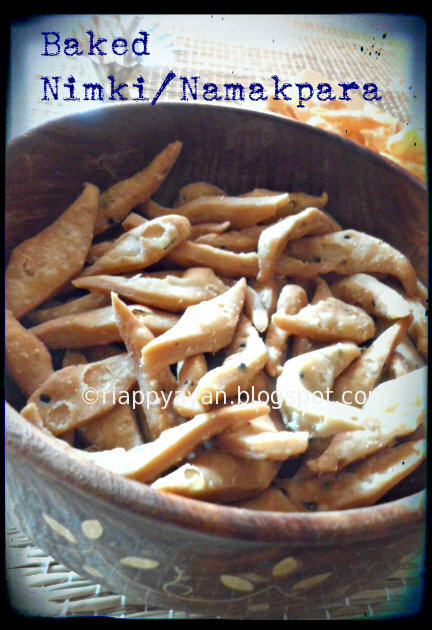 Namakpara, Nimki, Namkeen, Diamond cuts, all these are name of a beloved snack prepared during Diwali to share among family and friends. We, bengalees love these namkin(salty snacks) always and make allover the year, but prepare these especially on Bijaya dashami/Dusshera time to distribute among relatives and friends. 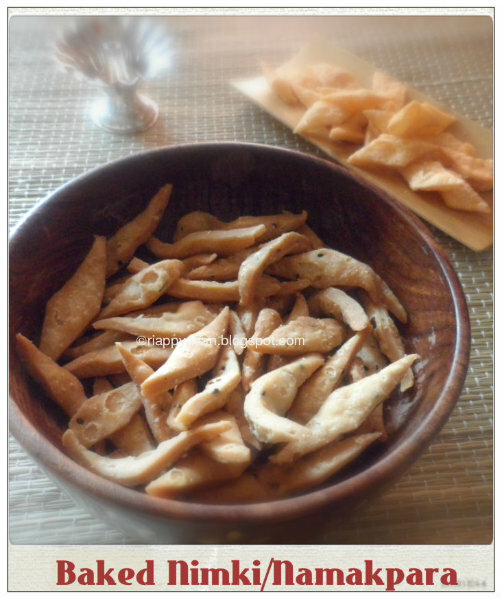 It's very easy to make and a perfect crunchy snacks for munching with evening tea/coffee. This snack is traditionally deep fried in oil, but nowadays health-consious people are preparing this without deep frying it but baked. I have also tried the baked and healthier version using whole wheat flour instead of all-purpose flour(maida) and I'm very happy with the outcome. Baking powder : 1 tsp. Black cumin seeds : 1 tsp. Preheat oven to 180 C. Grease a baking tray. In a bowl, mix whole wheat flour with the baking powder, baking soda and salt. 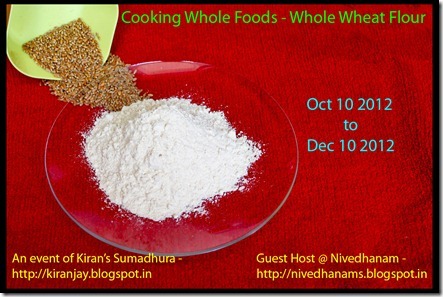 Add ghee and mix together till it resembles bread crumbs. Add black cumin seeds and then knead into a dough adding just as much water is needed to make a soft and pliable dough. Dough should be little stiff, otherwise we won't be able to cut them into shapes. Cover with a damp cloth and keep aside for about half an hour. Divide the dough into 4 equal parts and roll out into a round shaped disc(roti) on a lightly floured surface. I rolled it out to a little thicker than a roti (about 1/8th of an inch). Prick here and there with a fork. With a sharp knife or pastry cutter make diagonal lines at equal intervals on the rolled out discs and then once again cut crosswise to give diamond shapes. Place the diamond shaped nimkis in batches on a lightly greased tray and bake for about 15-20 minutes, flipover the upper side after some time, check that they doesn't over brown. Cool and store in air tight containers and keep them fresh for months. 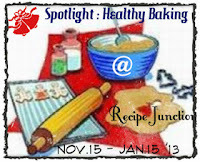 Labels: Appetizer/Snack, Baked goodies, Bengali recipe, Healthy recipes, Veg. Crunchy and inviting namkeens. Love to have them in evening. Such a guilt free nimkis,feel like munching some. Namkeen Namakpara wowww I like it..
Nimki name is Mathari in Gwalior side..
Its great Blog, with testy Food , you can seems and learn process of making food…..